Remember I shared that Cirque du Soleil’s TORUK: The First Flight will be coming to SoCal, here. Well, it has made its way through Ontario and LA and we were lucky to catch flight! But don’t worry if you missed it, it’ll be back in Los Angeles at The Forum this January. My boys and I loved the show and if TORUK: The First Flight is coming to a city near you, here are 5 reasons to go see it. 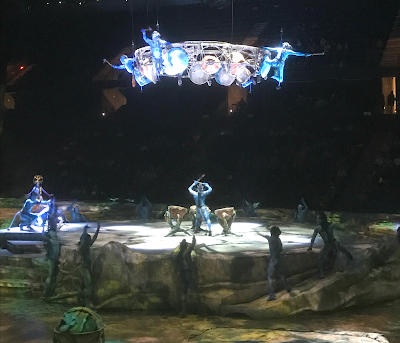 Unlike traditional Cirque du Soeil shows, TORUK has more of a theatrical feel to it. It’s narrated by a Na’vi Storyteller, set thousands of years before the events depicted in James Cameron’s Avatar, and before any humans set foot on the planet, Pandora. The story follows 3 teenagers as they embark on a journey to help save the Tree of Souls by seeking Toruk, a giant predator that rules the Pandorian skies. They need to first travel all around Pandora to collect a talisman from each of the 5 Na’vi tribes. The show was visually stunning. As soon we walked inside, it felt like we were entering Pandora. 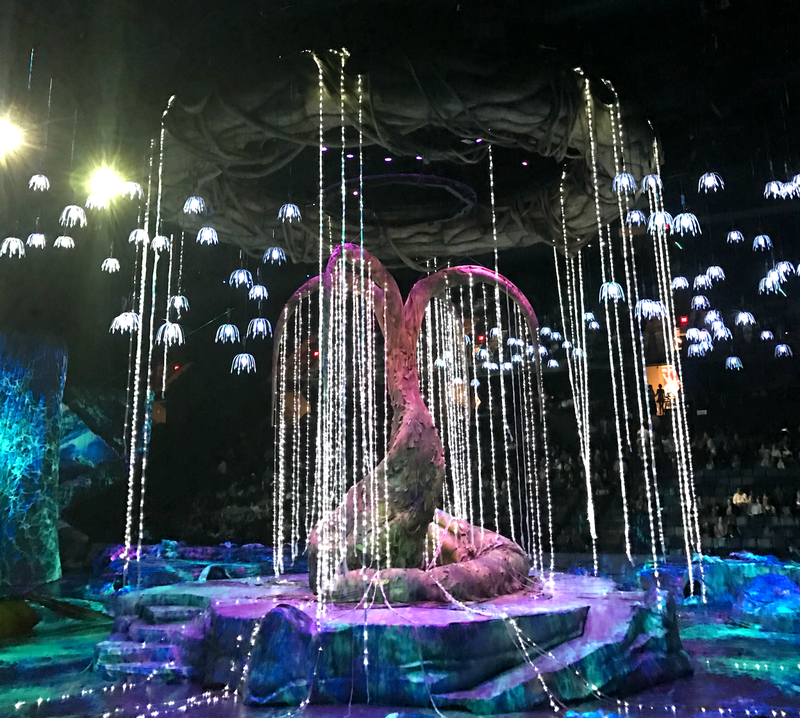 With the help of video projectors, lighting, sound/music, costumes, and puppets…we got to experience the different Pandorian environments. It was amazing to see the stage go from a volcanic eruption and watching the lava flow to waves crashing against the cliffs. 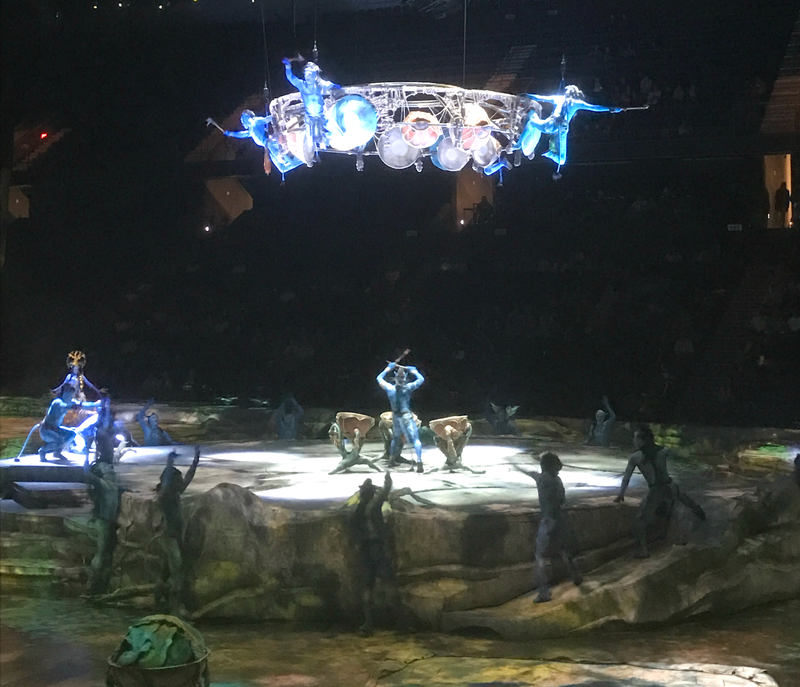 The “awe” moment was seeing Toruk fly around the arena. There weren’t as many crazy acrobatic “awe” moments like other Cirque du Soeil shows. The story was definitely the focus of the show and the acrobatic performances simply helped tell it. The boys loved watching the tumbling and aerial acts. The kite sequences were amazing, especially since there was no wind inside the arena and it was all done with man power. Kudos. Before the show starts, make sure to download the TORUK app, which is available on Android and IOS. The app will help enhance the show experience and allow audience members to be part of the action before, during, and after the performance. It was cool watching the different lights projecting from all the phones! This was the kids first Cirque du Soeil show! 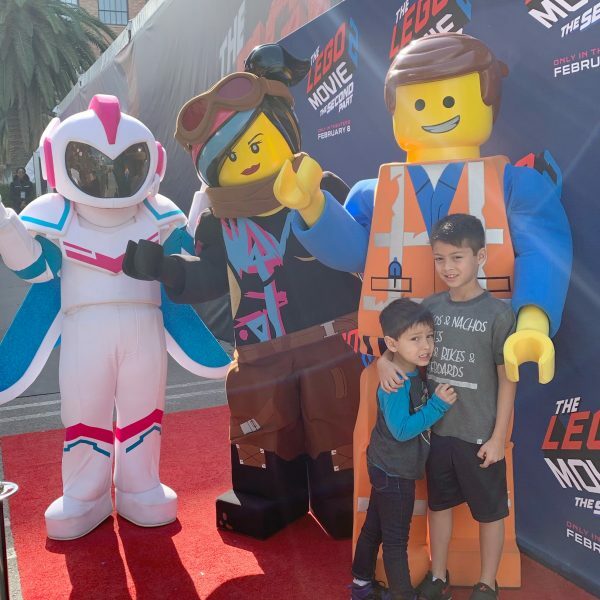 I knew Caiden (who’s 6 years old) would be fine but I was a little nervous about taking Ronan (18 months-old)…thankfully we sat near the aisle, but he did great. In fact, there were kids younger than him watching and they all seemed to enjoy the show as well. 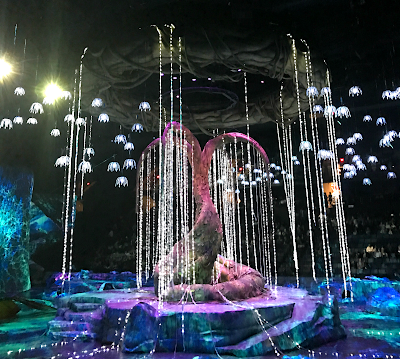 The show is loud and can be visually over stimulating but if your kids are used to watching live shows and going to the movies, then most likely they’ll enjoy TORUK. 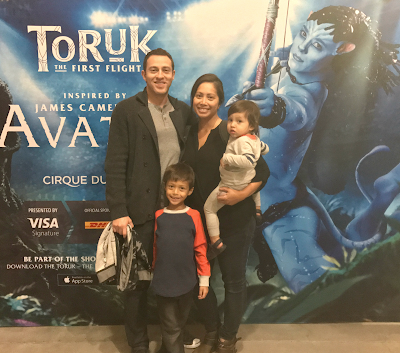 Disclosure: We were invited as media to view Cirque du Soleil, Toruk: The First Flight. All opinions are my own. you can take a look at http://spying.ninja/flexispy-spy-review/ to explore lots of useful articles on this thematic.